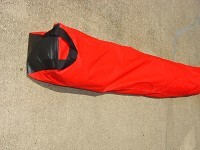 Many customers have requested a long carry bag to store the canopy poles, this polyester bag is reinforced with a durable reinforced vinyl material on the bottom, and ends. 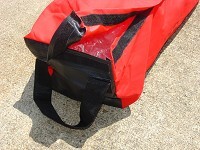 Bags have carry handles sewn, and reinforced at both ends. The large Velcro opening top panels are easy to load with your tubing, make carry, and storage much simpler.